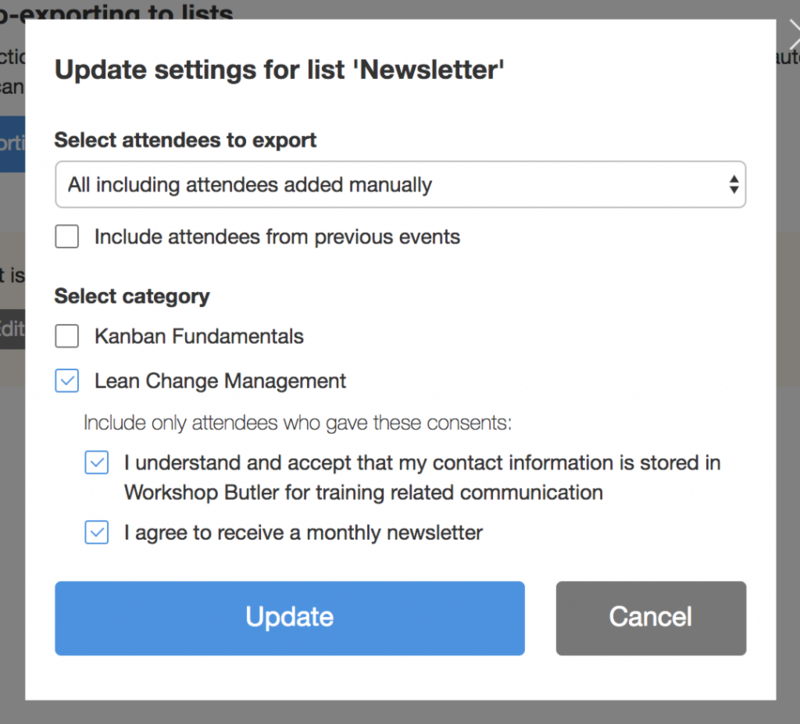 This article shows how to configure Workshop Butler to subscribe attendees of your events to MailChimp lists. Workshop Butler automates the process of adding attendees to MailChimp lists. When a new attendee registers for a workshop or you add an attendee manually, or you confirm an evaluation, the platform adds these attendees to one or several lists of your choice. Click Connect button and authorize Workshop Butler to use your MailChimp account. Select what list you want new members to add to. If you want to add attendees to several lists, repeat steps 3-6 for each channel. If you want to add the attendees from your previous workshops, check the box Include attendees from previous events. The attendees will be added to your MailChimp list in the next 10-15 minutes. When you give workshops on different topics, you may decide to add only the attendees of workshops from one category, not all. In this case, select one or several categories you need. 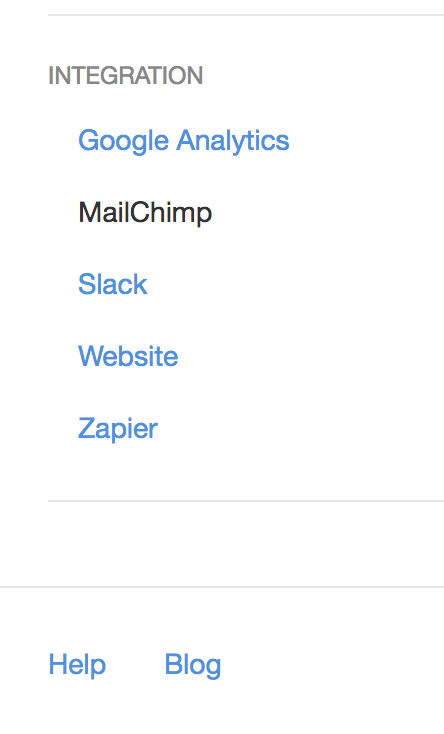 Only the attendees of the events from those categories will be added to MailChimp. If you have a GDPR-compliant consent added to your registration form for the category, you can check what consents the attendees should give to be added to the list. Only the attendees who give you all chosen consents will be subscribed to a MailChimp list.